Ok, Dutch Treat was so much fun! Scary, but fun. 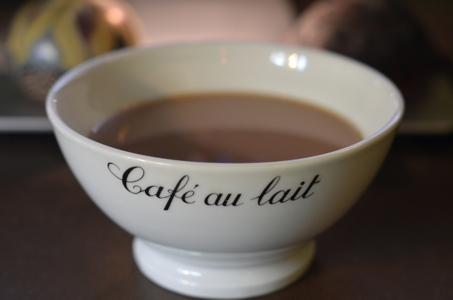 All those cognates and words that look like they should be pronounced German style but they definitely shouldn't! Now it's on to Paris. There really is a story about the night train from Amsterdam to Paris—and maybe it'll appear on these pages before the concert...or maybe not! Anyway, what with our school concert at the TSVBI and taxes and preparations for next year and the Tallis Scholars [I'm sure you're all going to that!] and grant applications, it's a busy, busy week: So back to work for me! What better place to finish our 2015-2016 Eurotour than in Paris? 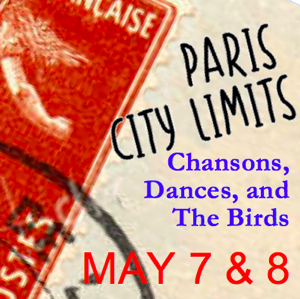 Renowned for its popular music of France from the 16th and 17th centuries, Paris City Limits regales audiences with exciting dances, popular folksongs, dazzling chansons, and heartfelt songs of love and melancholy by the masters and by some relative unknowns! There will be intimate chansons which deal with scenes of daily life: lovesickness, marital arguments, romantic friskiness, and more, and TEMP’s 19-voice chorus will perform large scale motets by masters such as Jean Mouton (Nesciens mater, for 8 parts) and Janequin’s spectacular musical chanson about the birds (Le chant des oyseaux) as well. Lively dances by Attaignant and others feature our special guest artists Mary Springfels (viola da gamba), Peter Maund (percussion), and exhilarating Breton folk music rounds out the concert (yes, Cayla Cardiff will sing that song) as TEMP explores both the rustic and the sophisticated sides of Parisian and country life in the 16th and 17th centuries. Our featured singers include countertenor Ryland Angel (New York), mezzo Erin Calata (Seattle), TEMP regulars Jenifer Thyssen, Meredith Ruduski, Cayla Cardiff, Stephanie Prewitt, Jeffrey Jones-Ragona, Thann Scoggin, Gil Zilkha, and more. The instrumental ensemble features our guest artists, as well as harpist Therese Honey, violinist Bruce Colson, our viol consort (Jane Leggiero, Stephanie Raby, John Walters), recorders (Susan Richter & Victor Eijkhout), and lutenist Scott Horton.